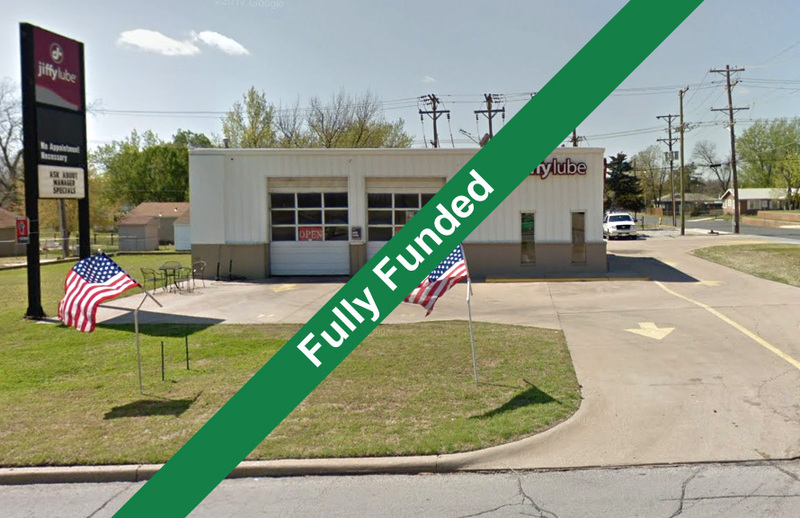 TripleNetZeroDebt.com LLC (“The Sponsor”) is providing the opportunity to invest along with them in this 1,777 square-foot, free-standing single-tenant building, 100% occupied by Jiffy Lube, (Auto Oil Change L.C. a 22-unit franchisee), doing business as Jiffy Lube located in Tulsa, OK. Jiffy Lube International is a wholly-owned, indirect subsidiary of Shell Oil Company. Jiffy Lube International, Inc. has more than 2,000 franchised service centers in North American and serves approximately 20 million customers each year. Jiffy Lube has occupied this property since 1999 and is 100% responsible for the entire property and building under an absolute NNN lease. This property and lease benefit from a strong tenant and two personal guarantors. The core objective of this investment is to receive a steady monthly cash flow while the property appreciates over time. Investors will hold title to this property. Investor’s distribution will commence on the first of the month, 91 days following the close of escrow. Distributions will continue monthly thereafter. Jiffy Lube International, Inc. (“Jiffy Lube”), with more than 2,000 franchised service centers in North America, serves approximately 20 million customers each year. Jiffy Lube pioneered the fast oil change industry in 1979 by establishing the first drive-through service bay, providing customers with fast, professional service for their vehicles. Over 20,000 Jiffy Lube technicians have completed an extensive training program certified by the National Institute Automotive Service Excellence (ASE). Headquartered in Houston, Jiffy Lube is a wholly owned, indirect subsidiary of Shell Oil Company. In June 2011, Jiffy Lube introduced a new program called Oil Change Schedule (OCS). The new program allows Jiffy Lube customers to choose how often they have their oil changed based on a number of variables including vehicle manufacturer recommendations, driving habits, and road conditions. The OCS program moves away from the old model of changing oil every 3,000 miles and provides a schedule that is unique to each driver. Auto Oil Change L.C. – Founded by Ross Burton and Pat Moore in 1999. The two partners started by purchasing 5 stores. They have won various awards over the years with Jiffy Lube International, including Franchisee of the Year, which is a highly coveted award. Since opening their first stores, they have bought and sold stores and are now opening their 22nd and 23rd stores in the next few months. They will then own 7 Jiffy Lubes and a Car Wash in Idaho, and 16 Jiffy Lubes in Tulsa, Oklahoma. Additionally, they are opening 2 full-tunnel express car washes in the Tulsa area to supplement and cross-promote the fast lube stores. 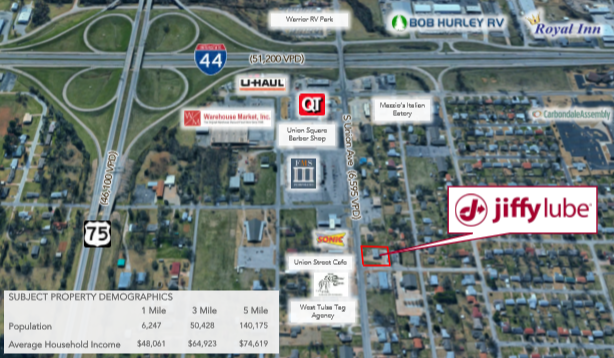 urban development extending into Osage, Rogers, and Wagoner counties. It is situated on the Arkansas River at the foothills of the Ozark Mountains in northeast Oklahoma, a region of the state known as “Green Country.” The Tulsa International Airport (TUL) and the Tulsa Port of Catoosa, connect the region with international trade and transportation. In 2006, Forbes magazine rated Tulsa as second in the nation in income growth, and one of the best cities in the country to do business. Tulsa’s primary employers are small and medium-sized businesses with 30 companies in Tulsa that employ more than 1,000 people locally. Small businesses make up more than 80% of the city’s companies. Though the oil industry has historically dominated Tulsa’s economy, efforts in economic diversification have created a base in the sectors of aerospace, finance, technology, telecommunications, high tech, and manufacturing. A number of substantial financial corporations are headquartered in Tulsa, the largest being the BOK Financial Corporation. As the second largest metropolitan area in Oklahoma and a hub for the growing Northeastern Oklahoma-Northwest Arkansas-Southwestern Missouri corridor, the city is also home to a number of the region’s most sophisticated law, accounting and medical practices. Its location in the center of the nation also makes it an advantageous hub for logistics businesses.